The team "Aggregates, Interfaces and Materials for Energy" (AIME) associates competence in innovative synthesis routes to hierarchical materials with tailored architecture and in surface reactivity and the chemistry of interfaces, with complementary theoretical and experimental approaches applied to energy storage and conversion and environmental remediation processes. The perspectives of the research are two-fold: elaboration of original materials enabling emerging energy technologies and the study of the interfacial properties and mechanisms governing exchange of energy and matter at various interfaces. The research activities developed at AIME are fully integrated into Institute, Pôle chimie Balard, and National frameworks: energy materials, and the study of interfacial phenomena are both horizontal research topics in ICGM, while energy materials and vectors, and environmental remediation are two of the Institute-transverse research axes of the Pôle chimie Balard and the LabEx ChemSyst. At national level, AIME-ICGM is a founder member of the Réseau sur le Stockage Electrochimique de l’Energie, member of the LabEx STOREX, and a founder participant of the CNRS GdR Piles à Combustible – Systèmes or CNRS GdR Prométhée (Hydrometallurgical processes for a better management of the non-energetic raw material from mining activities and recycling, and more especially low-grade resources). Research activities include both experimental and modelling aspects, on materials including polymers and oxides, carbonaceous solids, hybrids and composites, nanometals and intermetallics. Significant effort is devoted to structuring materials whether in particle form or bulk and whether electrolyte or electrode, at all length scales, including development of porosity or control of texture. The synergy between experiment and modelling, at both microscopic and macroscopic levels, is also exploited to probe the surface activity and interfacial behaviour of various colloidal systems and materials in liquid or gaseous media in view of gaining a better understanding of matter and energy transfer involved in energy conversion and storage or clean processes for the environment. The aim also is to understand mechanisms leading to the premature ageing of materials in operation in order to propose mitigation strategies by materials improvement, and structural and spectroscopic investigation is increasingly carried out in situ and operando to help reach these objectives. 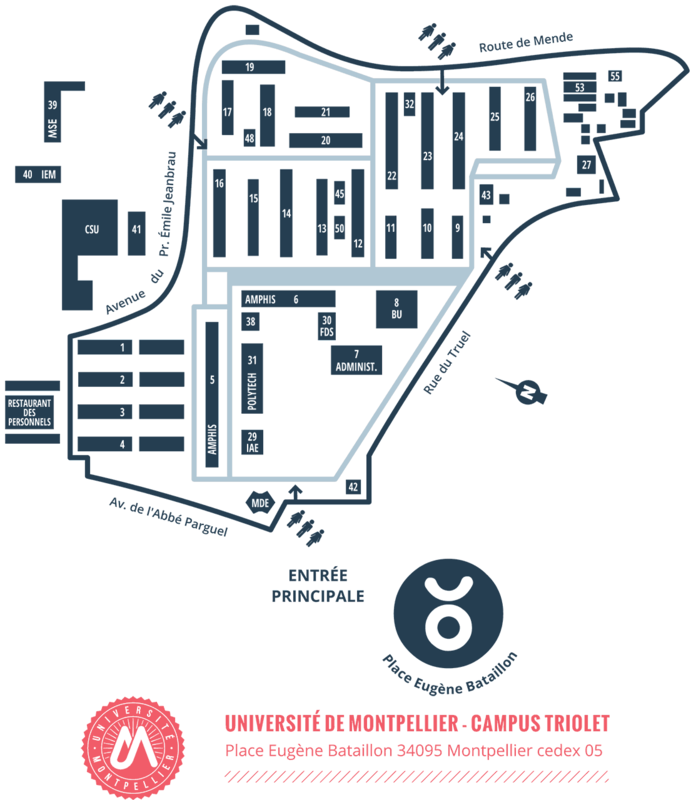 The team "Aggregates, Interfaces and Materials for Energy" is located in the University of Montpellier, Faculty of Science ( building 15 , ground and 1st floor). Équipe "Aggregates, Interfaces and Materials for Energy"